Filter Press Membrane Plate has more advantages over conventional one. For example, unlike classic filter press, membrane is able to apply an even pressure over the entire cake surface. So it is very popular even it is more expensive. When filter press membrane plate becomes a scrap, how to recycle or reuse it in a cost effective and efficient way? Filter press membrane plate shredder is a great help in size reduction process for whole recycling. Filter plate aims to make waste water or waste slurries into reusable resource. Either welded or replaceable membrane plate is the first choice for a filter press. Because it can reduce operation time and also can reduce filtrate loss as well as save follow-up cost. The source materials of membrane plate are PP, synthetic rubber such as NBR, CR, EPDM, rubber, ceramic and other special materials. They contribute to withstand high working pressure. The source material of filter press membrane plate is recyclable. Since filter press membrane plate is not a small article which can be easily for recycling purpose, the size reduction of it is a necessary and important process. Filter press membrane plate shredder is the right machine to go. 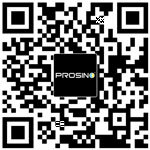 PROSINO brand size reduction machines have many different structure shredders and granulators for your different materials and shredding requirements. For example, PROSINO swing-arm single shaft shredder can easily shred filter press membrane plate into small pieces. The test sample is a filter press plate which has 85mm thickness. For different final size requirements, we can tailor the screen size to meet your requirement. Of course, the filter press plate and filter cloths are different materials. So we suggest you would better to use different structure screen or different size screen to achieve better shredding result.